Selecting the best seeds is our first challenge, but what is the best choice available? At Spanish Seeds we have a clear picture. 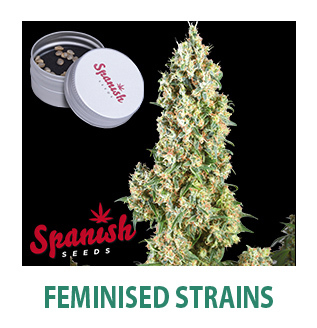 And that's why we have developed a catalogue with over 150 varieties of feminised seeds including autoflowering genotypes, as well as some of the most potent hybrids on the market. And all this at a fair and affordable price for the customer. We select the best females to guarantee success from germination to harvest. Our standard format of 50, 500 and 1000 seeds, as well as the option of ordering custom formats, makes Spanish Seeds stand out as the smartest choice.